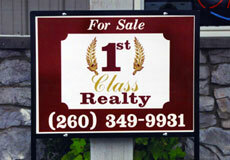 Durable, portable and eye catching, real estate signs are effective way to let them know who you are. 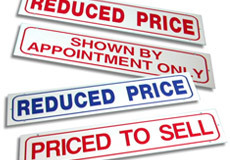 Obviously great for realitors, real estate signs are also great for contrators and installers as well. Our real estate signs are high quality and fully custmizable with plenty of options to choose from. Need to change things up. We have real estate riders ready fr your custom message. Want to provide take-along information. 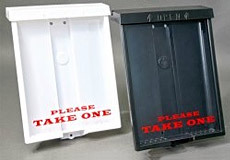 Sign Pro can provide you with brochure boxes of different styles and colors. Don't forget we can print what you need as well.